There are not many things out there that can bring people together like music. Great music with a message is one of the most powerful things you are likely to ever hear. But you are never going to truly hear is with this cheap $10 earbuds or from that crackling car radio. No, you will need some quality headgear to hear music the way it was meant to be heard. You have to invest in a good set of cans in order to really get it. 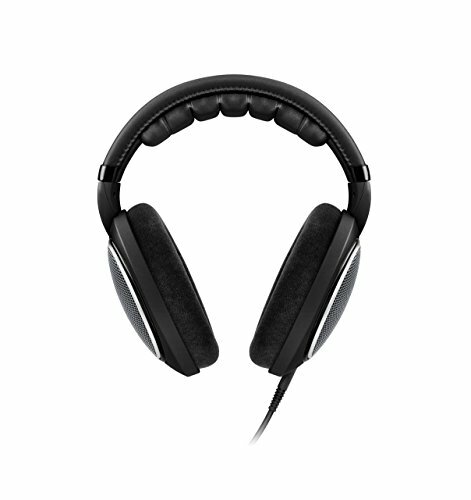 And the Sennheiser HD 598 open-backed over-ear headphone can get you there. Open-backed headphones are recommended not only for mixing music and studio use, they are perfect for consuming music too. And few know how to make and consume music better than the Sennheiser company. Founded in 1945 in Hanover, Germany by Fritz Sennheiser, the company’s first product, ironically, had little to do with sound or audio. The instrument was called a voltmeter, and it was a tool that was used for measuring the electrical potential difference between two points in an electric circuit. Now, Sennheiser is known for producing a wide range of hi-fi products like headphones, microphones, and telecom headgear. Plus, the innovative company had their hands in some surprising sound industry firsts, like inventing the first “shotgun mic” during the 1950’s or, in 1968 releasing the world's first open-backed headphones, according to an article published by the New York Times on the death of the company’s founder in 2010. The introduction of open headphones, in particular, offered the music industry a more natural sound, and it is the type of headphone recommended for many recording and mixing applications today. In 1982, the company began producing modern wireless microphones, and soon also became a world leader in that product line. To properly mix music tracks, you need to hear the sound to its fullest. You need a pair of headphone that will not only relay the richest, broadest range of sounds but will also block out or cancel surrounding ambient noise. You will want to select headphones based on even frequency and sound distribution, and, as discussed, over-ear open-backed headphones are the type for the job. The reason open-backed headphones are recommended for mixing has to do with sound resonance and sound accumulation. As sound is delivered from the headphone to your ear, some of it, a tiny amount, is going to dissipate out of the open-backed headphone. With closed-back headphones, it is exactly the opposite: sound pools and collects which can cause it to become echoing stretched or distorted. Think of a stream. The majority of the water flows naturally along the stream bed from one spot to another, but there will always be a little bit of water that escapes or evaporates. It is a similar case with sound, and when sound collects and pools in one spot during its flow from the source to your ear, opened-back style headphones also it to escape and evaporate into the air. 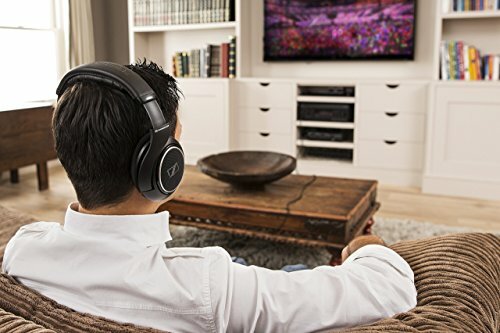 For those of you who count yourselves as being upright and sitting the right way, the proper indication for closed backed headphones is to use them while recording. They are perfect for isolating sound the musician is hearing, and they help ensure leakage won’t occur and be picked up by the recording microphone. It also helps the musician keep his or her focus sharp, blocking out unwanted noise distractions. Unfortunately, one size fits all is not a concept that does works with headphones, and headphone design and type are important. The best headphones for mixing are over-the-ear, open-backed headphones, as discussed, and the Sennheiser HD 598 headphones are some of the best. How to Find the Best Headphones for Mixing. 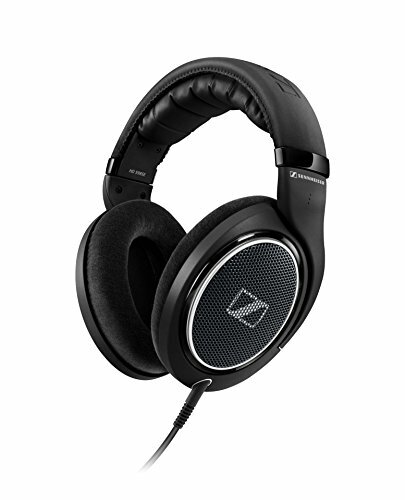 The Sennheiser HD 650 studio headphones are available on Amazon for about $366, and these headphones really are a marvel of modern engineering. Sennheiser has been in the sound business for over 70 years, and sound equipment is all they do. Their headphones tend to offer a rich, full sound in large part because their products constructed with top-quality acoustic silk. With a frequency range of between 10 - 39,500 Hz, you also get an impedance of 300 Ohms. Lightweight aluminum voice coils add to an even frequency distribution, it’s the go-to for most professionals. If you can afford them, these things are monstrous. It is additionally recommended that you buy a headphone amplifier for this beastly set of headphones as they will lick up every bit of juice that you can throw at them. Alternatively, for about 286 bucks, you can get a set of Sennheiser’s flagship HD 600 open-backed headphones, which are so well-respected and highly-used that they are pretty much considered an icon in the studio and recording industry. We are talking durable, lightweight aluminum coils, steel magnets that maintain optimum sensitivity and excellent dynamics over time, and an elegant and comfortable black and gray design, featuring plush synthetic fabric ear pads. Of course, you may also opt for Sennheiser’s thousand-dollar pair of headphones. The HD 800 headphones offer an ultra-sensitive frequency range of 6–51,000 Hz and an impedance of 300 ohms. 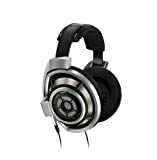 You’ll also get a constant contact pressure plus the proprietary “Ring Radiator transducer,” as well as the 40-millimeter aluminum coil, which is powered by a larger than average magnet structure and a diaphragm that offers two contact points, while the rest of the headphone industry uses only one. According to one review, these open-backed headphones were designed as a pimped out take on Sennheiser’s previously released HD 595’s, a standard in the industry for over five years. The idea to intentionally provide an eye-striking design as well as top-notch sound quality and ivory/brown color scheme sure does stand out in a crowd. It is worth noting, though that the main structure is made of plastic, and the headband is fashioned primarily from foam and covered with leather, the ear covers are made of fleece, and the “burl wood” isn’t wood at all but veneers that surround the speaker grilles and hem-in the leather part of the headband. While the headphones are made mostly of cheap materials, the leather headband and twist-to-lock mechanism for the detachable cable are nice touches and keep the cable safely in place when attached. The cable itself supports a 6.3mm jack, but Sennheiser also throws in a 3.5mm converter, so you can plug it into smaller devices, like your MP3 player. Moreover, the facelift from the 595’s did not add any weight to the 598, and it remains significantly lighter than the more expensive and highly touted Sennheiser HD 650s. Plus, by many accounts, they are comfortable, lightweight, and provide nice ear pressure when worn over a period of time. 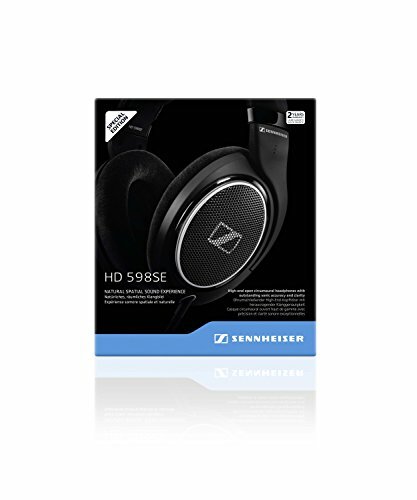 The Sennheiser HD 598s look like something from a movie set or that you would expect to see featured on the TV series, Empire. The majority of the headphones out there are black or grey, so the 598’s definitely stand out, and the ear plates also incorporate the same shiny wood finish. Two plastic extenders, reportedly hidden in the 598s' frame, help create its comfortable fit, and Sennheiser also added small pivots to the base of each earcup so that they can be adjusted for different head shapes. Black mesh lines the insides of the earcups, and a small, triangular transducer sits inside each one. The placement and angle of these transducers are key to what Sennheiser's calls its Ergonomic Acoustic Refinement (E.A.R.) technology. The earcup measures 4.5 inches high by 4 inches wide, same as the HD 600, though you will gain 1.75 by 2.75 inches of interior space, and the round diaphragm is made of a durable plastic called Duoful and set at an angle that is directly aligned with the ear canal. The Sennheiser HD 598 headphones weigh 9.52 ounces, and the velour ear pads and 10-foot-long audio cable give you the sensation of wearing nothing at all. Offering a low resonance, 40mm neodymium drivers, and an open-backed design translates into rich, true sound that competes for excellent quality when compared to models that cost twice as much. Bass and percussion sound awesome and spatial quality make it sound like you are in the recording room with the band. Audio is warm rich, and classy when listening to deep, soulful tracks, like Erykah Badu's "The Healer," said one reviewer from Tom’s Guide. But, hey, no headphone is perfect, and the HD 598’s no exception. 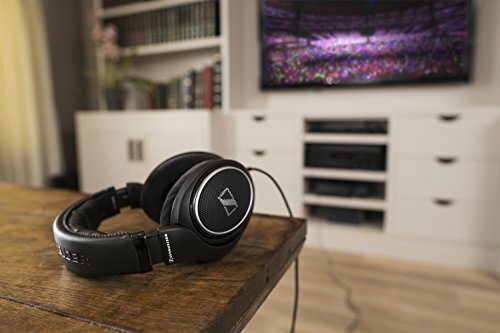 According to Sound & Vision, the bass extension on the Sennheiser HD 598 headphones is limited compared to more expensive models, although that fact is mitigated by clear round sound and extremely high frequencies that are attenuated. That doesn’t speak much to the product’s limitation, and, instead rather boasts of its proficiencies and the reviewers summed up their experience by stating that the drums sounded realistic and could clearly describe as giving off a directional sensation and heard as if in surround sound, which is high praise indeed for a stereo set of headphones. Of course, to each his own. Another review from What Hi-Fi has this to say about the provocative-looking headphones: “at the of appearing glib, then, we reckon the HD598s sound every bit as beige as they look.” The article then refines the statement by saying that their statement is not a criticism as much as it is a statement on being neutral and not showing dirt like some other colors, perhaps in reference to the aforementioned “veiled” effect. However, the most reviews we read agree that the Sennheiser HD 598s are a very adequate set of headphones for studio and home use. Their open-backed ear pads work great, and their design whispers of a time long passed. Their price tag may be a bit high for what they are, but their performance, in the end, might just be enough to justify it, despite the use of the word “audiophile” in their marketing.